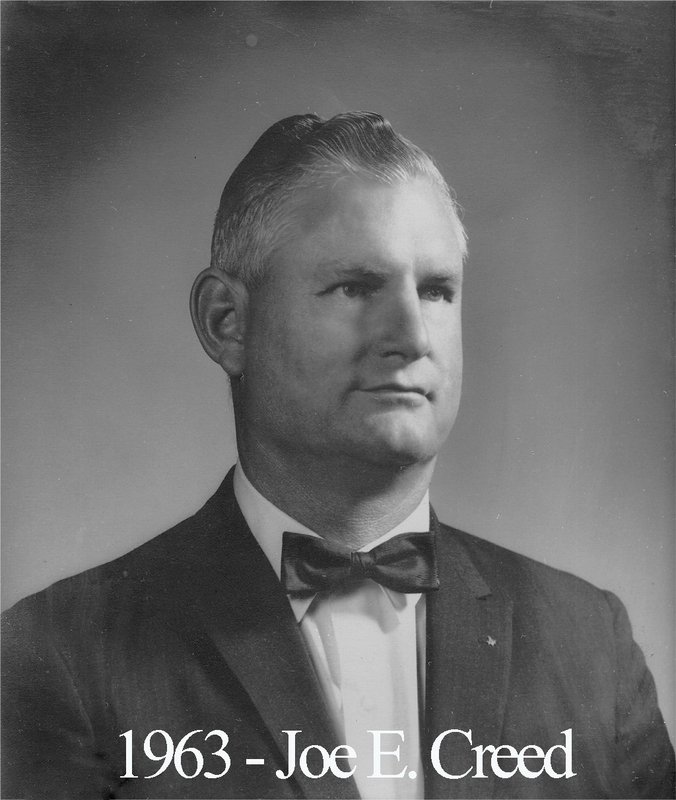 Joe Creed was born on March 22, 1918 in Bowie, Texas and graduated from high school in New Castle. In the mid-1930s, he found work as an independent carpenter for hire in the New Castle area. Then he was hired by the C.F. Lytle Company to work as a foreman in Possum Kingdom from 1938 to 1942. He made his way to Houston in 1942 to work for the Brown Ship Yard and finally made Waco his home in 1945 when hired by Hendrick & Adams. In 1949, WR Phillips hired him as a foreman. Eventually, Creed started his own company, Joe Creed Contractor, which was the first concrete pumping business in Waco. He operated that company until retirement in 1978. Brother Creed was active in almost every part of the various masonic organizations and served as Master of our lodge in 1963. His company was responsible for the construction of Quebe Temple, our meeting place since 1969. For many years, all the masonic organizations in the Waco area recognized Brother Creed as the face behind the bbq pits and fish fryers at various such functions.